Lalit Bhalla is a top performer in the real estate industry. With Anil he owns Star Realty. 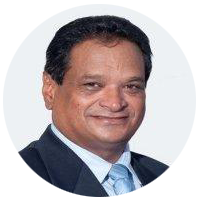 Lalit began his career in real estate on his arrival to Australia in 1991. Prior to this he worked successfully as a pastry chef with international hotels in the Middle East, USA, Europe & Africa. Having thoroughly enjoyed working in such exotic locations Lalit very much appreciates the Australian way of life. He and his wife Sujata have three sons who have attended local schools. Lalit has enjoyed enormous success in selling residential properties for the past 26 years. This comes from his very genuine desire to help people achieve their real estate dreams. His drive and enthusiasm and commitment make the difference. This results in a huge number of referrals and loyal clients. 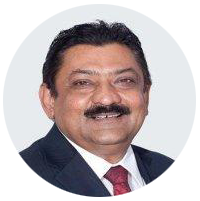 Anil Chandra is the proprietor, managing director and Licensee in charge of Star Realty. He is a licensed estate Agent. Anil is actively involved in all aspects of the company’s operations and enthusiastically promotes the professional yet personal approach to meeting the needs of Star Realty clientele. Anil has lived in the area for the past 40 years. He is firmly established in the real estate industry and has built strong relationships with property developers and associated professionals in property. Anil can assist in providing value added services to buyers and sellers. He can help and advise, whatever your property needs. Tanya Ryan has been a member of the Star Realty team for over 21 years. She holds a Real Estate Salesperson Certificate and is a Commissioner for Declarations. Married and with a young daughter, Tanya has lived in the area most of her life and looks forward to raising her daughter in the area. Always extremely courteous Tanya will be only too happy to assist you in any way she can. She is a very competent administration officer with a very cheerful disposition. 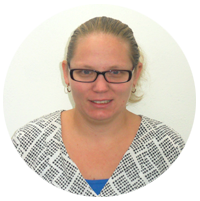 Tanya has proven herself to be a valuable and indispensable member of the team at Star Realty. Larissa has recently re-joined the Star Realty team after having her children and she’s looking forward to a long and rewarding career in property management. Like all of our team, Larissa lives locally. 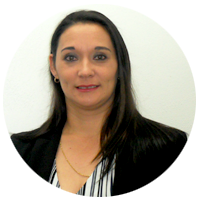 She enjoys the challenges that property management offers and looks forward to assisting you in any way that she can.